The DASH diet (Dietary Approaches to Stop Hypertension) is a diet plan that’s been designed to help lower blood pressure. It is created in such a way that it meets your nutritional needs without compromising your blood pressure. The above quantities are all based on a diet of 2,000 calories per day. This is the recommended daily calorie intake of the DASH diet plan, but it’s somewhat flexible that it allows you to have between 1,600 to 3,100 calories per day, depending on your needs and hunger. Essentially, the diet plan is high in fiber and low in calories, promoting balanced meals with the right serving sizes. While weight loss is not the goal, the dash diet can actually lead to the shedding of some pounds. 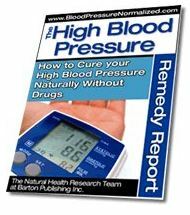 This is great if you need to lose weight, since being overweight often contributes to high blood pressure. In fact, I suggest that you follow the plan even if you don’t have hypertension. It’ll show you how to lose weight the healthy way, and stay in shape with tasty, nutritious, balanced meals. 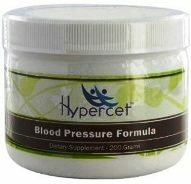 Improves your body’s response to medication – which is perfect if you happen to use high blood pressure medication. Lowers cholesterol levels – a common cause of hypertension. Reduces insulin resistance – which is great if you’re diabetic. The diet is a great choice if you want to eat more healthily. However, as in other diets, adjustment may be difficult, especially if you’re not used to having vegetables and fruits on a daily basis. Instead of replacing all of your food choices with items from the DASH diet menu, you can choose to start slowly, and gradually introduce the right foods into your diet. For example, you can start by replacing one or two types of food of your daily meals with ingredients from the DASH diet, and gradually increase the portions or the number of servings. That way, you’ll have the opportunity to get used to eating that way. Even so, if you consider following this eating plan will really need to make an effort to stay with the protocol, especially if you’re not used to eating healthily. …But, the right food choices can go a long way in improving your overall health. To learn more about the DASH diet and other ways to reduce your blood pressure without medication, get this report, and enjoy a happy, healthy life.